Home / Blog / Is Homemade Food the Best Option for Your Dog? 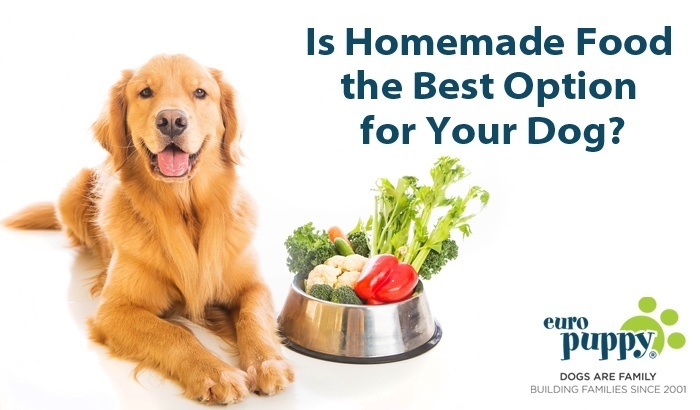 Is Homemade Food the Best Option for Your Dog? We live in a world where we are more and more aware of the food we consume, and we have become increasingly cautious and selective about the quality of the food we eat. The same is now true about the food we give our dogs. The traditional favourites, canned food and dry food, no longer cut it for some dog owners. To provide their dogs with the healthiest, freshest available food, these owners are increasingly giving their dogs freshly prepared, homemade food just as we would give ourselves. But is feeding homemade food really the best for our dogs or are we failing to provide them with the best nutrition? For decades now the staple diet for the vast majority of dogs has been canned or dry food, but in our consumer savvy world, people have questioned the nutritional quality of both of these options. Canned food for example has a very high moisture content, sometimes as much as 80%, and a low protein and calorie content. Whereas dry food or ‘Kibble’ is considered by some to have far too high a carbohydrate content and again too little protein and nutrients. In fact it is only in since the early 20th century that we have been feeding our dogs ‘ready’ food, going back over to homemade food is rather like coming full circle. But for many dog owners the simple reason for choosing homemade food, is that it is FRESH, and has not been sitting on a shelf for days or weeks. 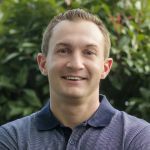 You can especially understand these concerns when you consider the artificial preservatives and other substances included in processed food that have no dietary benefit. Simply put, fresh food can be the best food. There is no doubt that giving our dogs food prepared at home is the freshest option, but does that necessarily lead to it being the healthiest option? Dogs have very specific dietary needs, and when giving them homemade food, it is now up to you to make sure they have all the ingredients they need in their food to keep them fit and healthy. Dogs require a BALANCED diet! At the most basic level a dog’s daily diet should be based on the following: • High protein content • Moderate to low amounts of fat • Moderate amounts of carbohydrate • Plenty of nutrients, inc high levels of calcium • Plenty of vitamins • High water content If you want to give your dog homemade food, it is now your responsibility, and not the dog food companies, to make sure your dog is getting what it needs in its food. It is just not as simple as cooking some meat for your dog, if only it was. An all meat diet just won’t do it. Get advice. Every dog is different, and has individually needs, go to your local vet for the best advice on what you should be feeding your dog. You don’t want to go to all the trouble of home feeding your dog, just to find out later that you have got it all wrong. Some food for thought; recent studies have found as many as 90% of dog meal recipes online, and in books, do NOT contain all the dietary needs of a dog. It requires hard work on your part to get it right. Whereas your commercial dog food may be too high in carbohydrate or too low in protein, good quality tinned or dry products should contain the basics of what a dog needs, including the nutrients, vitamins and minerals that are hard to find in homemade ingredients. If you were to go down the homemade food route, you would have to buy many of these as supplements to make sure your dog is getting what they need. Calcium, phosphorus, magnesium, sodium, chloride, sulphur, and potassium are just some of the minerals needed in HIGH amounts that homemade food MUST include. With all these considerations it is easy to miss something out, and in the long term, an unbalanced diet can have serious consequences for your dog’s health. It can put a lot of pressure on a dog owner to get it right! If you don’t like spending time in the kitchen, give up on this idea now! Opening a can or a bag takes seconds, properly preparing homemade food for your dog is time consuming. If you lead a busy life it may not be the best choice for you. If you do believe homemade food is the best choice for your dog, here are some items you must have in your dog’s dinner! These should make up at least half of your dog’s diet. Ideally lean meats with most of the fat removed. Either poultry like chicken and turkey, or red meats like pork and beef will be good and tasty for your dog. Whilst not a significant part of the evolutionary diet of the dog, vegetables provide fibre that supports digestive health, as well as antioxidants and other beneficial nutrients that contribute to health and longevity. Deeply coloured vegetables and fruits are the most nutritious. Zucchini, beets, pumpkin, broccoli, carrots, squash, and sweet potatoes are some really good choices. Provides vitamin D, which otherwise would have to be supplemented. Canned fish such as sardines, mackerel, and pink salmon, are good choices. Remember to remove bones from fish you cook yourself. You can feed small amounts of fish daily, or larger amounts once or twice a week. Like vegetables these provide plenty of antioxidants and help the immune system. Bananas, apples, berries, melon, and papaya are good choices. Just as there are foods that a dog must have, so there are ones a dog should never eat. NEVER give your dog any of these. With some the results can be a bad stomach, others can be FATAL: • Chocolate • Onions • Garlic • Walnuts • Grapes • Anything with caffeine • Poultry Bones, as they can splinter • Mushrooms It cannot be emphasised enough. If you choose to home feed your dog, there SAFETY AND HEALTH are in your hands. Make sure you know beforehand everything you should avoid. Feeding your dog fresh homemade food can be a great choice. Commercial dog food does not always provide the best balanced diet for a dog, and it is not traditionally what their diet has been based on. However homemade food only works well if you GET IT RIGHT. Dogs have a surprisingly particular diet, and it is up to you to make sure you provide everything they need. Do plenty of research, get advice from your vet, and be prepared to spend time getting it right. A well balanced diet with all the nutrients a dog needs, will keep them happy, healthy, and wagging their tail when you put the bowl down for them to enjoy.